The last few years have been great for 3D printing and that goes for the development of different materials to be used with them as well. We’ve seen and tried a lot of new and different experimental materials ourselves and have covered many of them here as well. With filaments designed for 3D printing there are different strengths and weaknesses, so choosing the right one for the job can be a bit of a challenge. Now there is one more useful resource that you can check out regarding different popular materials along with useful and interesting information about each of them thanks to Simplify3D. Their 3D Printing Materials Guide explores all of the popular filaments in use today, providing expert tips to improve your 3D printing results with each material covered. 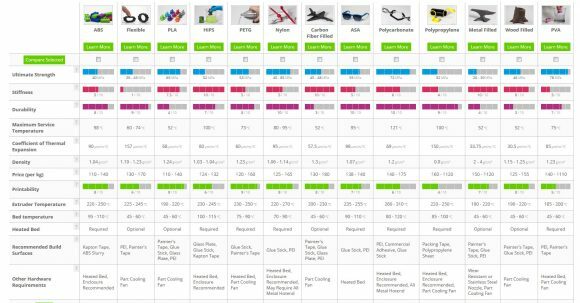 The guide includes in-depth articles for more than a dozen different filament types, along with a detailed Properties Table for comparing the physical and mechanical properties of one material against another. 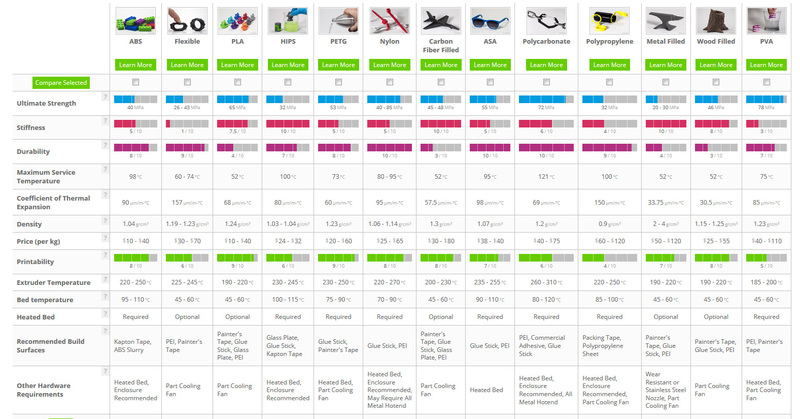 Along with the Ultimate 3D Printing Materials Guide, there is also a robust Filament Properties Table that compiles 25 different properties and characteristics for each material. The Table includes detailed metrics such as strength, stiffness, density, and other mechanical properties that could be useful when designing your next part. A built-in comparison tool can be used to select specific materials for side-by-side comparison. Having all of this information in one place greatly simplifies the challenge of selecting the best material for a specific application. The 3D printer filament is like a thin wire made from plastic and it is usually stored on rolls or the so called filament spools. The thermoplastic “wire” is wound on these spools and while the 3D printer uses it, it unwinds, thanks to a motor moving the filament inside the extruder, where it is melted and used to build something new. Although these spools contain a given length of plastic wire the filament is not measured in length, but in weight instead. A common weight for a filament roll is 0.5 kg, 0.75 kg or 1 kilogram (the weight if for the material only and not the spool), though some filament manufacturers also sell larger rolls at better price per kilogram. 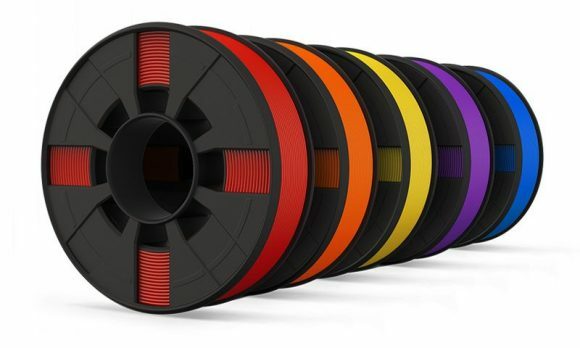 When shopping for filament material for your 3D printer you should probably get larger spools with the more common colors you may use such as black and white for example and then go for smaller rolls of the less used colors. That though depends entirely on what and how you are 3D printing, but it is always good to have more black and white filament available as it is usually the one that end first. Besides the size of the spool of the printing material there is one more key aspect that is very important regarding the filament itself. That is the diameter of the filament that your 3D printer uses. There is no single standard for the filament diameter defined, though there are two common sizes available – 1.75 millimeter and 3 millimeter (more like 2.85mm). So when browsing a store for 3D printer filaments you will notice that there are usually two variants of the same filament with the different diameters. Make sure you get the diameter that your device uses as getting the other larger or smaller one you will essentially not be able to use. Even though a manufacturer may say their filament is at 1.75mm diameter there is a chance that they production facilities may not be very good and the tolerance is higher or the filament diameter is nor consistent. Although looking with your naked eye may not reveal potential issues your 3D printer may not be too happy with that kind of “problematic” filament and can give you trouble while printing or giving you more failed prints without apparent reason. So it is always good to test a specific model or brand of filament and see if it works well on you device. Note that going for a cheaper filament from an unknown company making it may not always be the best idea, so try first, filament does not need to be expensive to be good and to be working fine on your 3D printer. My advice would be to first try a spool or two from different suppliers and settle for the one that works best for you before actually making a larger order of filament spools to have. I have tried quite a few different brands and my current preference for a supplier of the most common type of filament I’m using is ColorFabb as I’m happy with their wide range, good quality, price and quick delivery. I was happy with MakerBot’s filaments as well since my 3D printer was made by them anyway, though they do come a bit too expensive for Europe, so finding a good EU manufacturer like ColorFabb was definitely a better solution. I’m still ordering other more exotic filaments from many other places though, but I’ll talk about these in a moment. When you start looking around for local and online shops selling different types of filament material for 3D printers you will notice that some of them are also offering the so called filament samples. These are small packs of thermoplastic wire with a length of just a couple of meters without a spool, here they are measured in length usually as their weight is normally not much. The idea of these so called samples is so that you can try multiple materials without having to purchase whole spools initially. They are a great choice for testing out if the specific filament will work fine on your 3D printer or to experiment with more exotic filaments that usually come more expensive for a full spool. Again, be careful even when ordering samples that you observe what the filament diameter is as you need either 1.75mm or 2.85mm for your 3D printer and it will not work with the other size. Most sellers should be offering both sizes for their samples as well as for their regular filament rolls, but some shops may not be carrying both sizes. 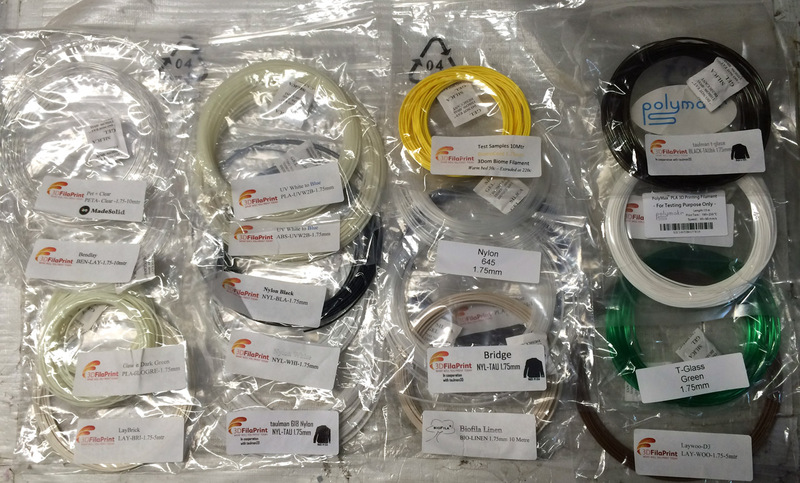 Apart from being able to order a short piece of single filament sample, some shops also offer sample packs that are either grouped by a manufacturer with multiple colors for a type of filament or are grouped with different types of more exotic materials from different manufacturers. These are also great for trying something different and maybe even finding something new and fun among these. Alternatively, just like with samples, some manufacturers are also selling value packs that include multiple of their rolls of filament like a pack of all of their colors or as mentioned larger size spools. These can be a good deal and money saver after you have tried some samples in order to stock on filament spools on the long run after choosing your main filament supplier. Do note however that larger filament spools may require a bigger spool holder than what your 3D printer is equipped with, so make sure you can handle these, or you can just try and 3D printing a larger one… remember you already have a 3D printer that you can use to print upgrades on. I’m starting with the two most commonly used thermoplastic materials as filament for 3D printers, these are ABS plastic and PLA plastic. They are most widely choices for use as the build material that FDM/FFF 3D printers use as a source to create the physical representation of the virtual 3D model you want 3D printed. 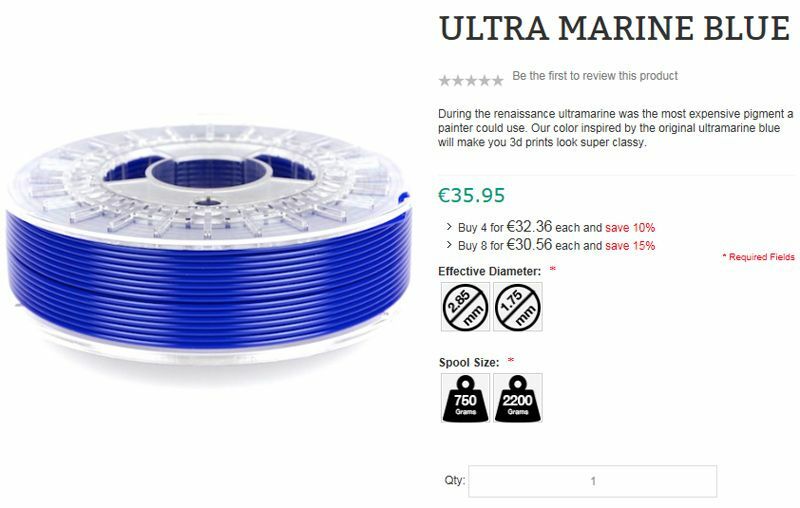 They are affordable and easy to get from many suppliers of 3D printer filament materials and while they both have a lot of similarities, there are also some important differences that you need to know about as well. ABS or Acrylonitrile Butadiene Styrene is a common plastic material used not only in 3D printing, but for many of the plastic things all around you as well. It is a petrol-based plastic and has been around for quite some time already, so it was no wonder that it was also one of the first materials to be used by 3D printers as well. Do note however that 3D printing with ABS filament does have additional requirements from the 3D printer like having a heated build plate. The reason for that requirement is in the fact that when ABS is cooling down after being melted and extruded in the process of 3D printing it shrinks a bit. That shrinkage can lead to the material detaching from the build plate and you getting a failed print, so a heated build plate is required to keep the base hot and thus preventing shrinkage until the printing has finished (at about 100-110 degrees Celsius). The requirement for a heated build plate makes ABS not so friendly to printers without that option available, so not all devices are capable of supporting ABS printing. The objects 3D printed from ABS filament are tougher and offer good impact resistance, can be used without problems in a wider temperature range, they start to soften usually above 100 degrees Celsius. They are however harder to print and considered to provide somewhat less detail to the finished 3D printed part compared to other filaments such as PLA for example. 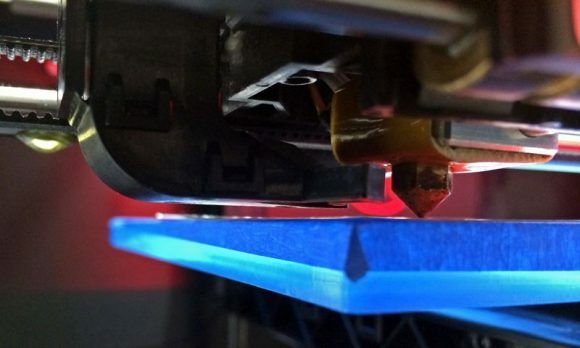 Another thing to be careful when using ABS are the smell and fumes it produces when melted at around 230 degrees Celsius in order to be 3D printed, these are not so safe and it is recommended to print using ABS in a well-ventilated room or have the printer well enclosed. PLA or PolyLactic Acid is the other very popular and widely used thermoplastic material used by most consumer 3D Printers that rely on FDM/FFF printing technology. PLA is not pethroleum-based, but is instead a biodegradable thermoplastic material that is being derived from renewable resources like corn starch or sugarcane. There are also far less concerns about people’s health when it is melted like with ABS for example, so PLA is considered the safer and easier to use material for 3D printing in general. Using PLA filament does not require a printer with a heated build plate as there is no shrinkage of the thermoplastic material when it cools down like in the case with ABS. Having a heated build plate and using it at about 50-60 degrees Celsius however can still be beneficial for PLA printing of large models helping their base stick better to the build plate, though again it is not necessary. PLA is generally considered to be easier to use and to provide better printing quality when compared to ABS, though results may vary depending on a lot of conditions. One thing that is not so good with the regular PLA filaments is that they are a bit more brittle than ABS for example and also are not so much heat tolerant, they start to soften at just about 55-60 degrees Celsius. This means that if you leave a 3D printed model from PLA out on the sun or pour a hot liquid over, it will most likely start to soften and deform, so you need to be careful with that. Still PLA is the preferred choice for filament material for 3D printers in the last years replacing more and more ABS filament. These are too many to cover them all quickly, so I’ll be just mentioning a few interesting more exotic filaments and let you discover the rest yourself or maybe will do a more detailed Blog post especially about these at a later time. So what is so why would one need other filaments for a 3D Printer when there are already ABS and PLA? The answer to this is pretty simple, to either fix or to improve on some of the issues or limits that these filaments may have or to provide something entirely different as a material or features of a more common material. You simply get more flexibility and options for your 3D prints, though be aware that working with some of the more exotic filaments can often end up being a bit of a challenge. Here things start to get even more interesting when composite materials enter the arena, I’m talking about the usual PLA or ABS thermoplastic that is infused with composites of real metals, stone or wood giving you a filament material that looks and feels like the real thing, but still comes out of your 3D printer. These materials usually include a part of the original thermoplastic material that is mixed with very fine metal powder, stone pieces or wood particles. This way the printing head still manages to melt the thermoplastic and form the needed 3D model, but the resulting part ends up containing also not only plastic, but also wood, metal or stone. 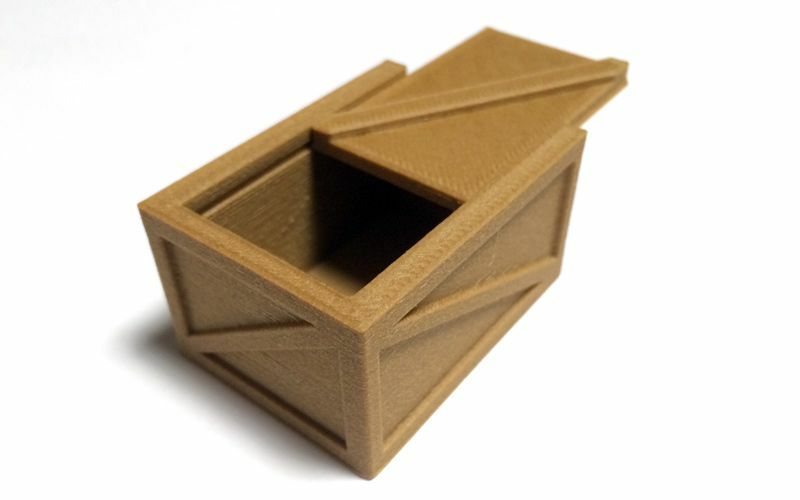 As a result a small box printed from a wooden composite material like the one on the photo above can not only look like it is wooden, but also feels lighter and to be made from wood and not from plastic. The same goes for metal for example, where the 3D printed part will weigh more because of the metal particles it contains, but depending on the metal used it may for example start to get rust or attract magnets and so on. How about a carbon fiber filament for your 3D printer? There is such a thing, though using it is not just like what you are used to seeing with things made from carbon fiber material. Carbon fiber 3D filaments are usually made by mixing a thermoplastic with a set percentage of finely chopped carbon fibers. So while you still get nice lighter and tougher parts, you will not get them anywhere near as tough as real woven carbon fibers. Unfortunately with a regular 3D printer you cannot just use normal carbon fibers, but there are specially designed 3D printers that can do that (check MarkForged). With 3D printers you are essentially melting plastic and forming it into something else, so can you do the same and actually turn some plastic back into a filament material that you can use for 3D printing? The answer is yes, you can do that. 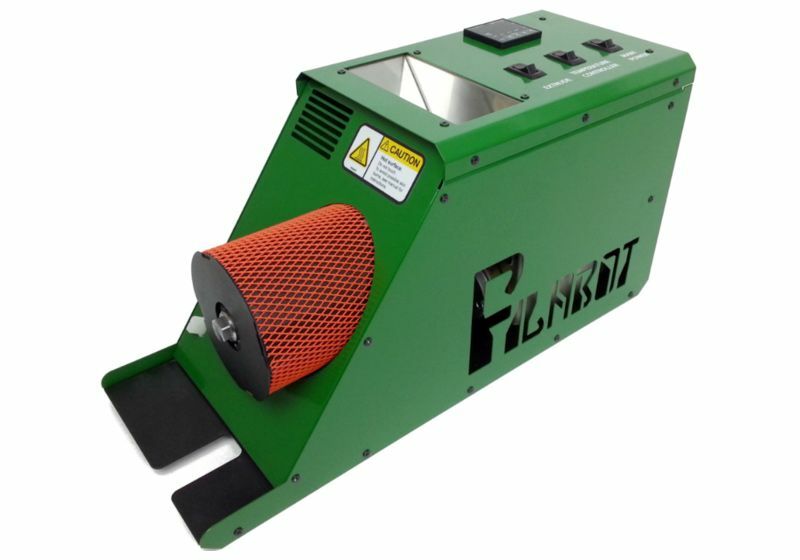 There are devices called filament makers or filament extruders that are available for normal users that are interested in making their own filaments. There are of course much larger machines that essentially do that for the companies that are producing the filament material that you use for your 3D printer as well. You can check Filabot or Filastruder for example to get an idea what these consumer machines actually are, or you can actually build one yourself if you are up to the challenge. These machines are designed to take small plastic particles such as a readily available plastic pellets and turning them to the plastic wire that your 3D printer works with. 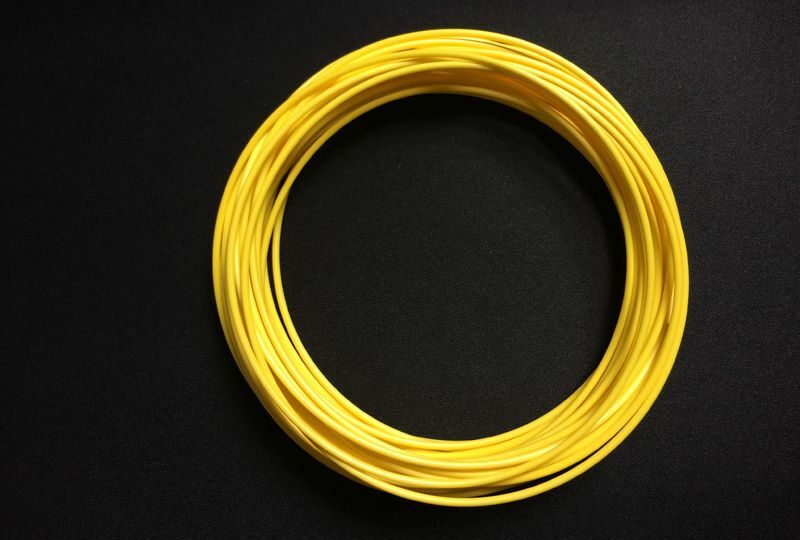 You can usually buy plastic ABS and PLA pellets from some filament manufacturers and other shops at a price that is significantly lower than that of a ready-made filament. To turn them into actual filament however you would need to also buy a filament maker machine of course, so it makes point in producing your own filament only if you need larger quantities to justify it. The more interesting thing about making your own filament is if you can recycle old or failed 3D prints and turn them back into a filament that you can use. You can actually do that, though you need to first grind the failed prints into small particles similar to the plastic pellets used for making filament and you should be able to feed them instead of pellets. The grinding part here is a bit problematic as most filament extruders do not come with the ability to break down larger plastic things and use them as a source of material for making filament. What is even more interesting about making your own filament and being able to recycle old or failed 3D prints is actually being able to recycle other things made from plastic that you would otherwise just throw away in the trash. I’m talking about old toys, plastic kitchenware, even the PET bottles you use for bottled water and storing other liquids and whatever else plastic you can think of. This is still a bit of a challenge, though it is apparently also something that should be possible with the right tools. When you manage to connect 3D printing and recycling together, things can really be much more interesting and fun, yet at the same time also being eco-friendly and even educating. We have just received our order of 3D filament wraps (samples) from 3DFilaPrint. The company is based in UK and carries many different types of 3D printer filaments and the best thing they have is the ability to order smaller 10 and 5 meter samples from pretty much the whole range of 3D filaments they carry. The so called wraps or samples give you to opportunity to try out various different materials at much lower cost and then actually decided to order or not a full spool of the material. With some more specific and exotic filaments a whole spool of filament could turn out to be quite expensive purchase just to find out that it is not what you have expected from the material. We have ordered many different samples to play with, so you can expect more details about materials such as Orbi-Tech’s Laybrck and Laywood D3, or the Taluman’s Nylon and T-Glasse filaments along many others including UV reactive and glow in the dark materials and so on. So we would recommend to anyone interested to find a local 3D filament supplier that also carries short samples that you can also purchase in order to test various new materials and see if your 3D printer will be capable of using them as well as to see how good they may fit your specific needs.